If you have to ask, it probably isn’t! 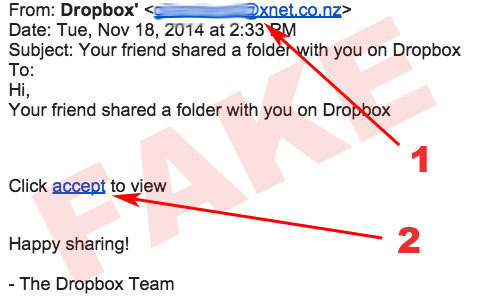 This recent phish pretends to be from DropBox. Note the strange email address and the link that did not go to Drop-Box. 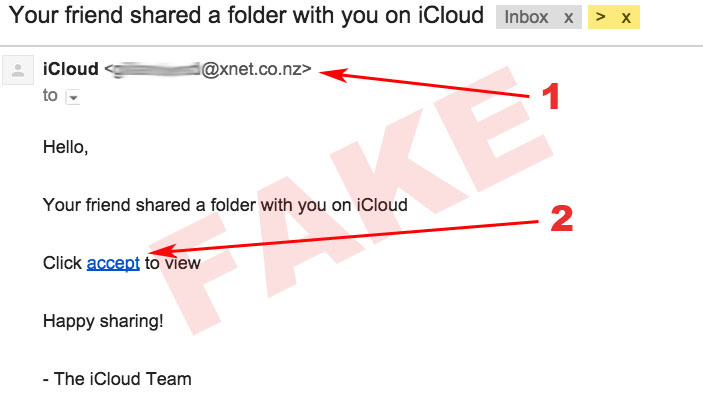 This recent phish pretends to be from iCloud. 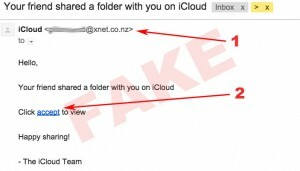 Note the strange email address and the link that did not go to iCloud. – Hover your mouse over the email address, is the address the same? Is it a valid email address of someone that might send you such an email? 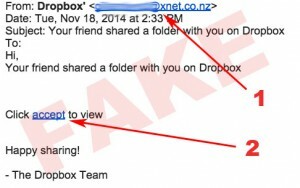 – Did the person in question actually send the email? If not 100% sure, contact them to find out! – If the email concerns your Williams username/passwords, see #3 below. – Hover your mouse over the link. Does the actual link match where it is supposed to go? This may be a good time for you to review the security settings on your Google Account. Do you have 2-step verification turned on? 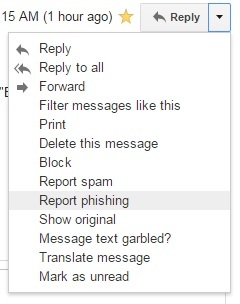 To check, visit your Google Account settings by clicking on the top right circle and select “My Account”. Under the “Sign-in & Security” section you can set up 2-step verification.